Here follows a brief guide for administering Adderall for infant and adult AD(H)D, covering topics such as correct dosages, pharmaceutical information, adverse effects, cautions and so on. 4 distinct salts of amphetamine are combined to form Adderall. These salts are the Amphetamines Sulfate and Aspartate, plus the Dextroamphetamines Saccharate and Sulfate. Subsequent to the Food and Drug Administration’s approval in 1996, Adderall is primarily used to alleviate the symptoms of ADHD. Adderall tablets should be taken by mouth one or two times per day. This drug is available at varying concentrations: specifically 30, 20, 10 and 5 mg. doses. Why Choose Adderall over Ritalin? According to a number of patients, Adderall’s effect recede far less precipitously than those of Ritalin. This more gradual “coming down” period produces fewer adverse effects. Adderall also has a longer half-life within the body. Is Adderall Contra-indicated for Certain Individuals? Infants under 3 years of age should not take Ritalin, which is not approved for their use. Those suffering from even minor hypertension must not take Adderall. Those with bi-polar disorder may experience mania if taking Adderall and should avoid it for this reason. Finally, anyone with substance abuse problems should be wary of taking Adderall, which is habit-forming. These are the side effects most often experienced: dry mouth, nervousness, sleeplessness, headaches, dizziness, loss of weight. Such symptoms generally disappear in due course. Rarer adverse effects are as follows: constipation, loose bowels, various other digestive problems, bad taste in the mouth, euphoria. Thus far, eleven incidents of psychosis have been recorded from over seven million scripts written for Adderall since 1996. Allergic reactions include Uticaria. Side effects upon the endocrine system may cause impotence or altered libido. Adderall is strongly habit-forming, especially when taken by those who do not suffered from AD(H)D.
What is meant by Adderall’s “Schedule II Stimulant” Status? The DEA classifies as “Schedule II” all substances with significant abuse potential. Similarly classified drugs include cocaine, Ritalin and Dexedrine. These substances are all strongly addictive if used incorrectly. Should I give my hyperactive child Adderall? Honestly, this question can only be answered by a medical professional following an in-person consultation. They will diagnose your child and present you with all relevant information so as to better inform your decision. Adderall is the non-generic name of the medication developed for the treatment of juvenile or adult Attention Deficit (Hyperactivity) Disorder or AD(H)D. It is only available under prescription. Two stimulants are combined to create Adderall, these being dextroamphetamines and amphetamines. An extended-release version is available, known as Adderall XR. 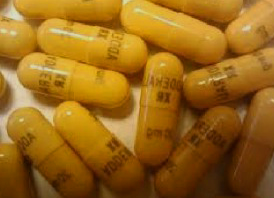 Medical professionals may prescribe Adderall to narcoleptics. The XR version is not approved for this purpose. ADHD-suffers experience greater mental control and improved concentration when taking Adderall, in most cases. Adderall may stop narcolepsy from manifesting in its characteristic episodes of uncontrollable lapses into sleep at inappropriate times. In 1960, the US Food and Drug Administration, or FDA, granted its approval to Adderall. The FDA similarly granted its approval to the compound formed from dextroamphetamines and amphetamines to be distributed as a generic. The non-generic version, branded Adderall, is produced by DSM pharmaceuticals. Generic versions are available from a wide variety of pharmaceutical producers. Adderall is in the category of drugs known as central nervous system (CNS) stimulants. Such drugs achieve their effects by raising the levels of the neurotransmitter dopamine within the brain. Dopamine stimulates particular brain functions, which produces a relaxing effect on ADHD sufferers as well as improving their concentration.